Lattice3D Web Master makes publishing of intelligent 3D information into light weight, fast loading 3D web pages as simple as selecting a template and clicking a button! 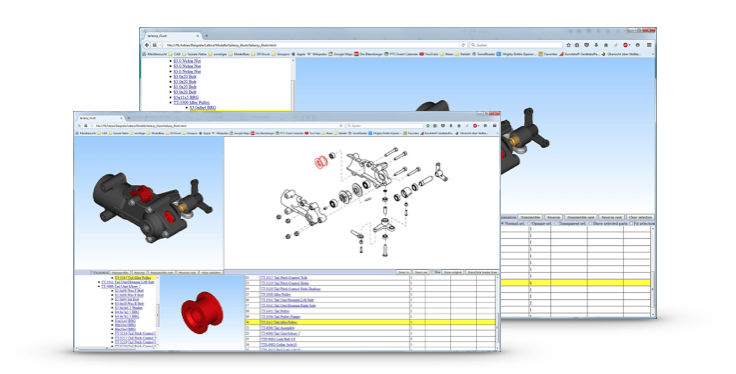 It has never been easier to communicate with interactive 3D parts, components, or complete products - with or without exploded parts views or animations. The power of the Internet combined with Lattice3D Web Master means that ideas, concepts, assembly and maintenance instructions, and customer help instructions can be conveyed quickly and intuitively with 3D. Lattice3D Web Master utilizes highly compressed XVL data derived from all major CAD systems, Digital Content Creation (DCC), and other formats, to effortlessly present your products to the worldwide web. Improved intuitive interface, advanced toolbar and Publishing Wizard - enables the user to easily generate complex, interactive web pages. Cross-referenced through a step-by-step process with a few mouse clicks - no HTML coding required. 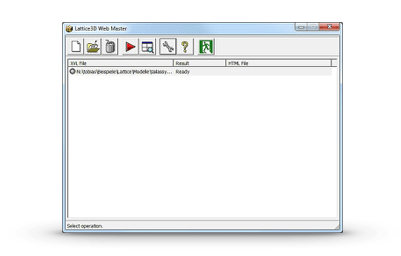 Lattice3D Web Master includes many pre-defined HTML page templates. 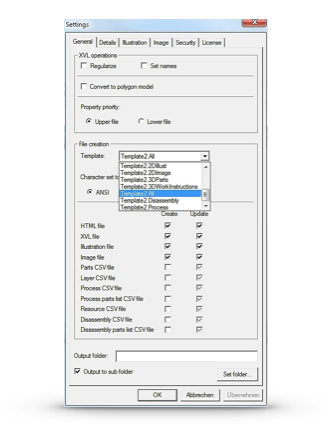 Users can choose their preferred output format - and also create their own templates, or customize existing templates. When used with XVL Converter Servers, templates enable batch processing of high volumes of HTML pages and automated updating. The highly compressed format of XVL makes it possible to publish complex 3D models on the web - and Lattice3D Web Master makes it happen! The benefit of exporting to HTML is the improvement and sophistication of the 3D digital experience for users of your website. You can have 3D rather than 2D pictures on your website, with photorealistic models that visitors can rotate and view with a mouseover. In place of photographs, you can offer assembly animations or configuration options such as different colors and a selection of customizable accessories.